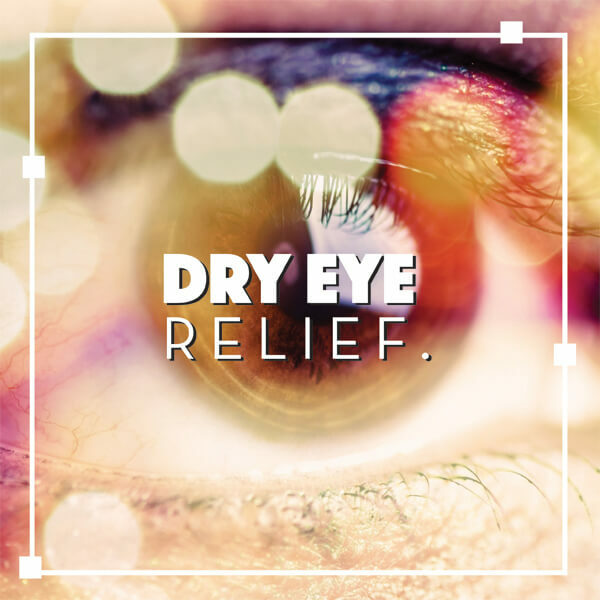 One of the most common clinical challenges faced in eye care is dry eye syndrome. Characterized by irritated, scratchy, itchy eyes, dry eye occurs when eyes are not properly lubricated because of insufficient tear production, or unbalanced tear composition. Thanks to new technology, dry eye can now be treated in ways never before available. The latest diagnostic tool – The TearLab Osmolarity System – measures tear osmolarity by taking a small sample of the patient’s tears to see how “dry” they really are. Treatment is then prescribed based on the measurements from the TearLab and range from Omega 3 supplements, tear replacement drops, punctual plugs, anti- inflammatory drops, oral antibiotics and prescription strength artificial tears. If you are ready to address your dry eye problems, Eye Partners has five convenient locations in Valdosta, Tifton, Douglas, Moultrie and Madison, FL Read more about our Dry Eye Clinic here. Contact us today to make an appointment. South Georgia/North Florida Eye Partners – with locations in Valdosta, Tifton, Douglas, Moultrie & Madison, FL – specializes in LASIK and cataract surgery with premium lens implants, glaucoma diagnosis and treatment, comprehensive eye exams for adults and children and a Dry Eye Clinic. Eye Partners also has an Optical Shop fully stocked with designer frames and sunglasses to fit your style and personality. To make an appointment with one of SGNF’s physicians or to find our locations and hours, click here. This week we are doing our Feature Story Friday on one of our newest physicians, Dr. Jodie Norman. Dr. Norman is one of South Georgia/ North Florida’s outstanding optometrists and holds a Bachelor of Science degree from Valdosta State University and graduated from the University of Alabama School of Optometry. 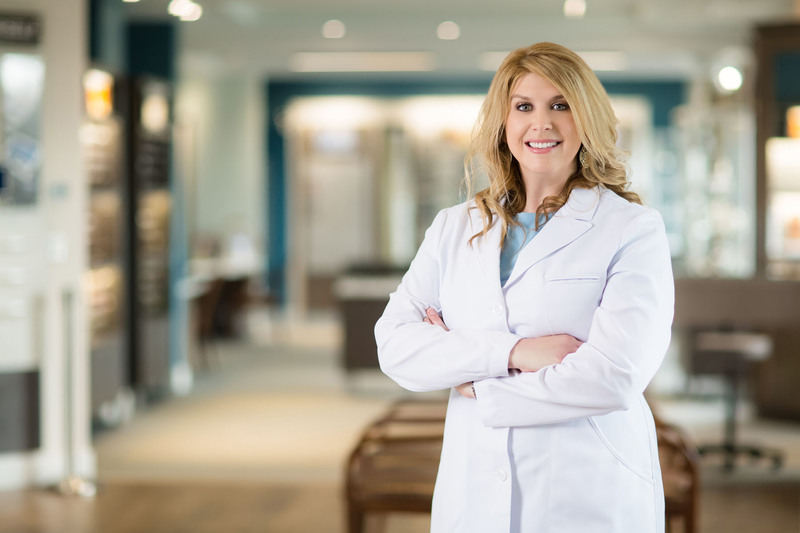 In addition to adult and pediatric eye exams, she specializes in Dry Eye Syndrome and has expertise in contact lenses with a focus on scleral lenses. She and her husband, Matt, have two boys – Gus (4) and Mac (2). Click here to watch a video of Dr. Norman and learn about her unique approach to optometry. She truly has a love for her work and a commitment to becoming a part of her patients’ lives. South Georgia/North Florida Eye Partners is proud to have Dr. Norman as part of our amazing team – call now to make an appointment! 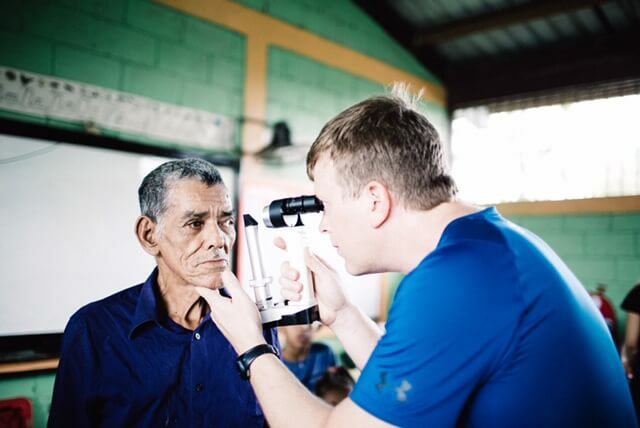 This September, South Georgia/ North Florida Ophthalmologist Dr. Wes Ross traveled to Honduras with a mission group to conduct medical clinics and volunteer construction in several rural villages. The group is called IC13; they’re based in Nashville, TN and they make a few trips a year to hold these clinics and help with infrastructure. Dr. Ross and his wife, Shannon – a registered nurse – joined the group that included two ER doctors, a cardiologist, dentists, nurses and technicians. The two worked in 4 villages over 4 days – each day riding 1-2 hours into some mountainous regions to get there. “Generally around 700 people came to each clinic each day for medical exams, medicines, dental procedures, and we say over 100-150 people in the eye clinic each day,” recalls Dr. Ross. The clinics took place in open-air school buildings in the center of the villages, and most of the work that Dr. Ross was involved in was determining which glasses (of the over 500 pairs of prescriptions glasses donated and several hundred pairs of over-the-counter reader glasses) would help the person the most and matching a pair of donated glasses to them. Dr. Ross said that there were a few people that had issues requiring surgery, and the IC13 organization was able to pay for them to go to the ophthalmology clinic at the nearest city to be treated. Our Eye Partners family is so proud to have Dr. Ross as a part of our team – he truly gives back in every way. We are so excited to announce that we are bringing a new ophthalmologist on board at South Georgia/North Florida Eye Partners! Dr. Garrett Webster is now a part of the Eye Partners family. 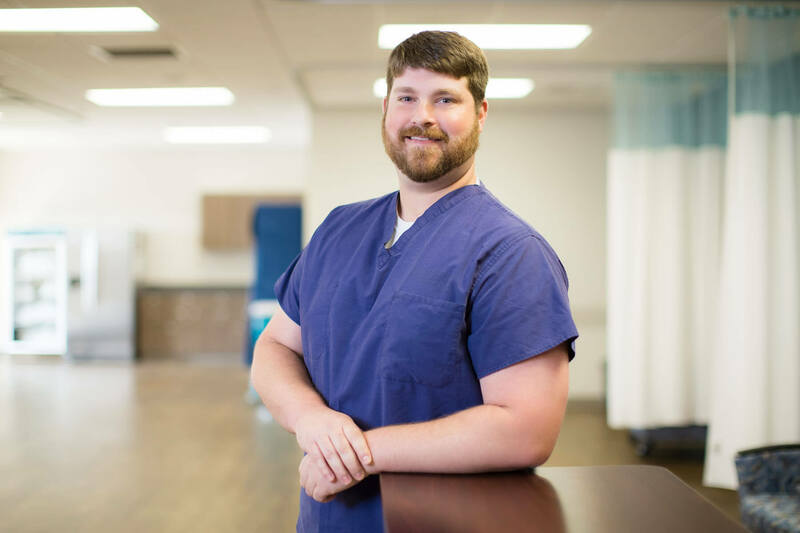 Dr. Webster graduated from the University of South Carolina’s School of Medicine in 2014. He specializes in comprehensive cataract surgery. Dr. Webster grew up on family farm in Augusta, and is looking forward to becoming a part of Valdosta and south Georgia! He and his wife, Sydney, have a daughter, Ginny, who is not quite 2 years old, and a sweet Boykin Spaniel, Brice. South Georgia/North Florida Eye Partners is thrilled to add this accomplished physician to our staff. The more we grow, the better we can serve our patients. The American Optometric Association defines glaucoma as a group of eye disorders leading to progressive damage to the optic nerve. It is characterized by the loss of nerve tissue that results in declining vision and in advanced stages may cause blindness. Glaucoma most often occurs in people over age 40, although a congenital or infantile form of glaucoma does exist. People with a family history of glaucoma have a higher risk of developing the disease; other risk factors include thinner corneas, chronic eye inflammation, ocular trauma and using medications that increase pressure in the eyes. The unique Optomap view helps your eye care practitioner detect early signs of eye diseases without having to dilate your eyes; and of course, early detection means successful treatments can be administered reducing the risk to your sight and health. If glaucoma is detected, treatment often includes either medications to reduce elevated intraocular pressure or in some cases, surgery. While there is no cure for glaucoma, treatment keeping eye pressure under control is highly successful and can slow damage to the optic nerve meaning the continued loss of your visual field may slow or stop. South Georgia/North Florida Eye Partners diagnoses and treats all types of glaucoma through medications and surgeries, if necessary. Call Eye Partners today to set up an appointmentif you feel you are showing signs of glaucoma and would like to start taking control of your eye health. Diabetes. We probably all have our own reaction to this disease and know at least something about its effects – it is a disease that affects the body’s ability to produce or use insulin effectively to control blood sugar (glucose) levels. But did you know that diabetes also can have devastating effects on your eyes and vision? Too much glucose in the blood for a long time can cause damage in many parts of the body, including the heart, kidneys, blood vessels and the small blood vessels in the eyes. South Georgia / North Florida Eye Partners encourages everyone to have annual eye exams, but for those patients with diabetes – these yearly exams can be critical in preventing vision loss. When the blood vessels in the eye’s retina (the light sensitive tissue lining the back of the eye) swell, leak or close off completely — or if abnormal new blood vessels grow on the surface of the retina — it is called diabetic retinopathy. People who are at greater risk of developing diabetic retinopathy are those who have diabetes or poor blood sugar control, women who are pregnant, and people with high blood pressure, high blood lipids or both. Also, people who are from certain ethnic groups, such as African-Americans, Hispanics and Native Americans, are more likely to develop diabetic retinopathy. In fact, a new study confirms that diabetes is a top risk factor for vision loss among Hispanics. Something to remember: diabetes can cause vision in your eyes to change even if you do not have retinopathy. If your blood sugar levels change quickly, it can affect the shape of your eye’s lens, causing blurry vision, which goes back to normal after your blood sugar stabilizes. With offices in Valdosta, Douglas, Tifton, Moultrie and Madison, Florida, Eye Partners is equipped to perform comprehensive eye exams close to where you live. We also perform more extensive procedures and surgeries such as cataract surgery, iLASIK and glaucoma treatment in our surgery center in Valdosta. Call or visit us today to make an appointment. Regardless of your age or physical health, it’s important to have regular eye exams. 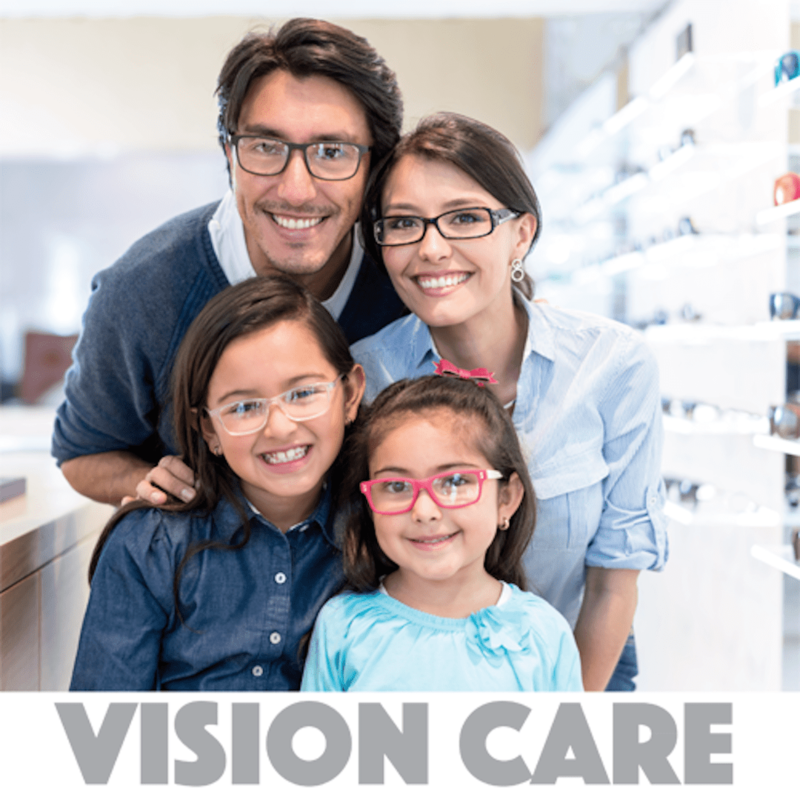 South Georgia/North Florida Eye Partners provides vision care for the entire family – toddlers to seniors. 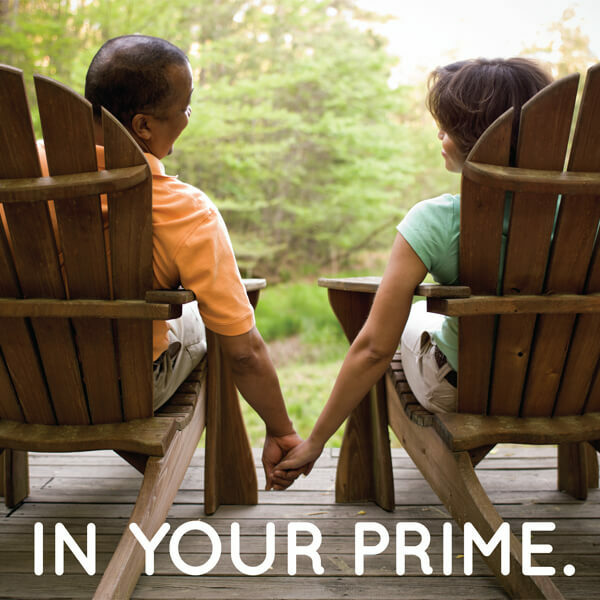 Call South Georgia/North Florida Eye Partners today to schedule an appointment for all the members of your family. Preventative vision care is the key to seeing well for years to come. 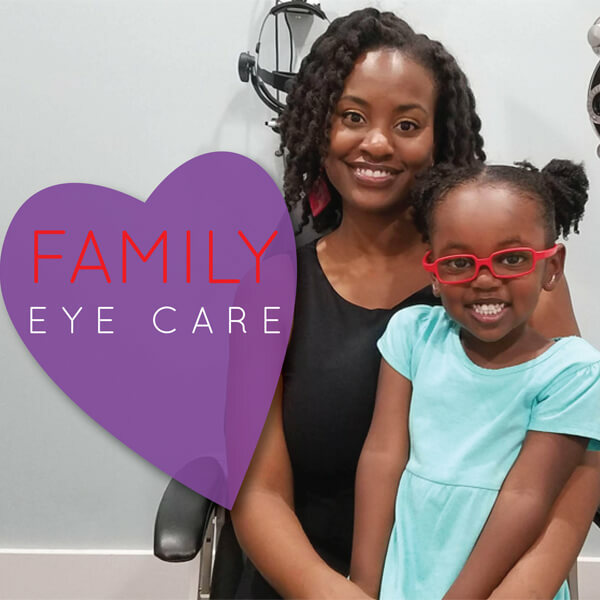 As one of our newer optometrists, Dr. Lauren Rowe has settled right in to the South Georgia/North Florida Eye Partners family. 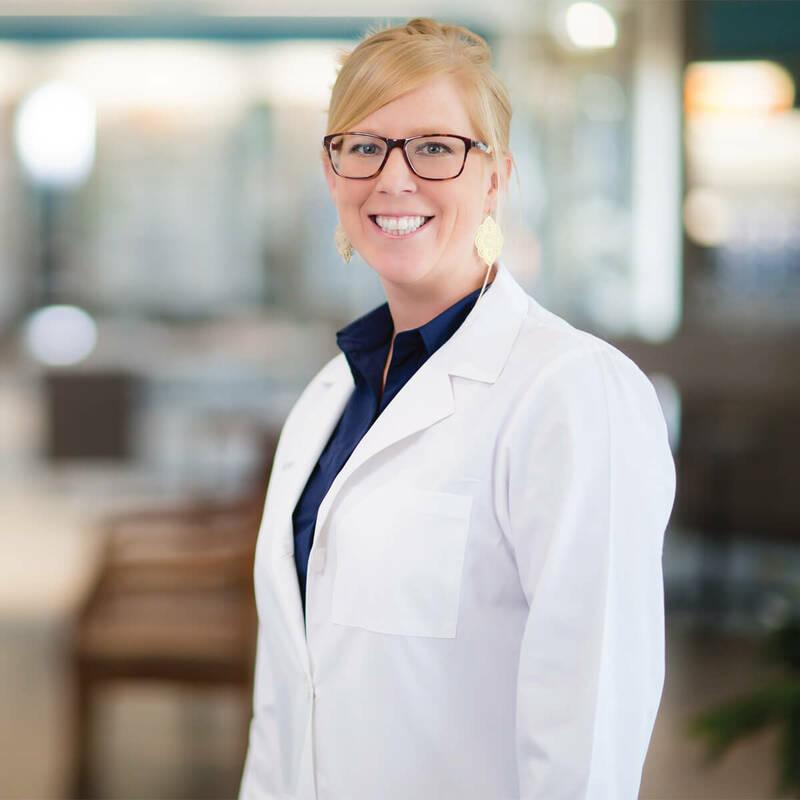 Dr. Rowe – formerly of Rowe EyeCare – became part of the Eye Partners group in September 2017, along with her father, optometrist Dr. Ricky Rowe in Moultrie, Georgia. The addition of Dr. Lauren Rowe is a great asset to Eye Partners. An honors graduate of The New England College of Optometry in Boston, MA, Dr. Rowe specializes in the treatment and management of ocular diseases including age-related macular degeneration, glaucoma and cataracts. Dr. Rowe practices most days in the Moultrie office of South Georgia/North Florida Eye Partners, which is located at 115 5thStreet, SE in Moultrie and can be reached at (229) 890-8016 for appointments. She also is in the SGNF Valdosta office two days per week. 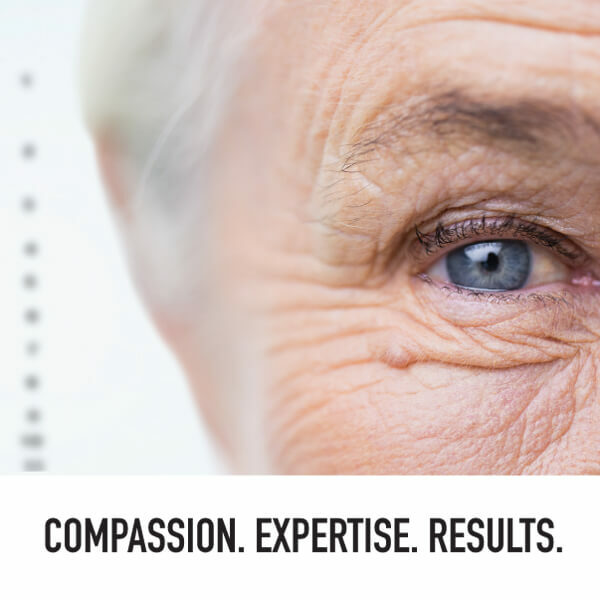 South Georgia/North Florida Eye Partners specializes in iLASIK and cataract surgery with premium lens implants, glaucoma diagnosis and treatment, comprehensive eye exams for adults and children and a Dry Eye Clinic. Our brand new surgery center in Valdosta is a state-of-the-art facility where our board-certified ophthalmologists can perform any number of optical procedures. Eye Partners also has an Optical Shop fully stocked with designer frames and sunglasses to fit your style and personality. To make an appointment with one of Eye Partners’ physicians or to find our locations and hours, visit our website at southgeorgiaeye.com.